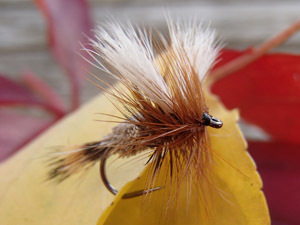 Lee Wulff was a well known american flyfisher. He designed the first fishing vest and the triangle taper lines. He tied the White and Gray Wulff patterns in 1929. 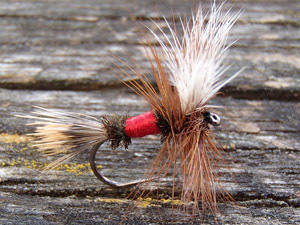 English-derived dry flies that were too fragile for his western waters, Lee bulked the dry fly with the use of hair rather than feathers for the tails and wings. The Royal Wulff is the interpretation of Wulff of the well known english fly Royal Coachman, adapted to wild water fishing.